296 Excellent FM 1314 Frontage. 2,100 Acre Star Ridge Ranch 5,700 Home Community underway. 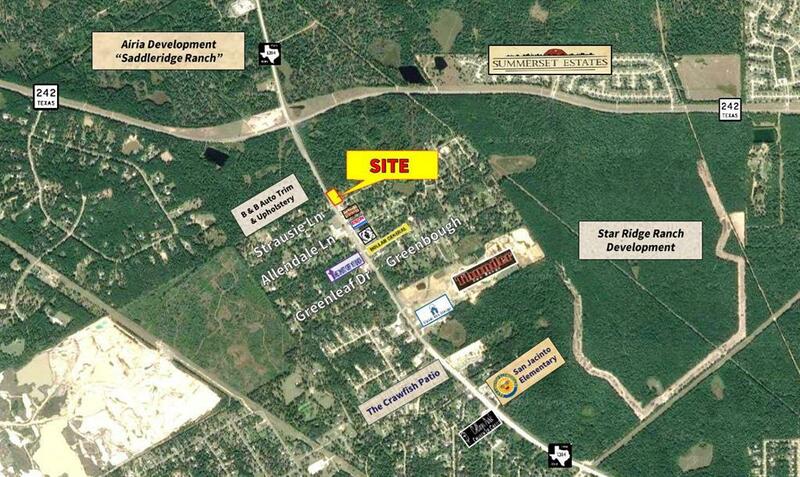 900 Acre Airia Development "Saddleridge Ranch Hwy 242 & FM 1314. Grand TX Theme Park 11 Miles. Valley Ranch Town Center -12 min. Easy access to Hwy 242, Grand Pkwy & I-69 (Hwy 59). Houston & IAH Bush Airport 26 Min.